Having credit in today's world is essential. It is virtually impossible to conduct many of the day-to-day activities in life without having some credit history which gives you access to everything from a checking account to credit cards, car loans and mortgages. Without it, we would all have to show up to the front desk of the power company, the cable company, the place that loaned you money to buy your car and house, and pay them in cash. Therefore, your credit score is one of your most important life stats in the modern world. The big three credit reporting agencies are TransUnion, Experian and Equifax. They compile information on your credit history and score your credit worthiness based on a lot of factors such as delinquent accounts, accounts in good standing, any bankruptcies and how much available credit you have open for use. Credit scores range from a low of 300 to a high of 850. The higher your score, the more likely you are to get approved for cards or loans, with better interest rates of course. If you have made mistakes in the past and are trying to dig out of a credit score hole, there are some ways to improve it. While these tactics will not have dramatic effects on their own, if you apply as many as possible, you can slowly move your credit score to the higher ranges. There are some things we probably have all done in the past that hurt our credit scores and we never even realized it. When I was 18 years old, I thought it would be fun to open as many store credit cards as I could. I had about 10 different store cards, plus 3 or 4 gas station cards. Then I finally realized, hey, this probably is not a good thing, so I had them all closed. While some things can be blamed on the ignorance of youth, there are other things you may not have thought of that can have a negative impact on your FICO score. 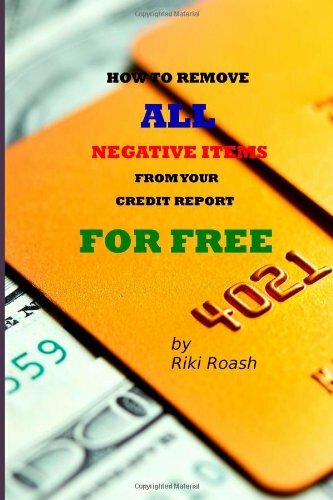 Credit: OpensourceAs I mentioned above, I did have to close a lot of accounts when I was younger, and depending on your circumstances, that act alone can have a negative impact on your credit rating. When you close accounts, you lower your credit utilization ration which according to the credit rating agencies is about 30 percent of your total FICO score. For example, if you have two cards, each with a $10,000 limit, and you owe $5000 on one, your credit utilization ratio overall is 25% which is very good. However, if you close the account where you have a zero balance, you now have one card on which you owe half of the credit limit, so your utilization ratio shoots up to 50%. That will negatively impact your score. Every time you apply for a store credit card or any type of loan, the issuer will make an inquiry on your credit report. If you have too many inquiries each month, you can negatively impact your score. Only apply when you really need it and you know you can get approved. If you already own several store "same as cash" free financing cards, and your credit utilization ratio is a bit high, your best bet is to probably decline the 90 days same as cash offer and pay with Mastercard or Visa. I have used a Best Buy store card to purchase a notebook and a 60 inch plasma in the last 3 years, but I made sure it was paid off early with no finance charges and I didn’t own any other store cards. If you go that route, do it sporadically. Don’t be tempted into every free financing offer especially if the cost of the purchase is under $1000. Too many hard inquiries on your report can really lower your overall score especially if you are denied. However, if you have your heart set on paying off a major purchase slowly with free financing for 12 or 18 months, look for new card offers from MasterCard or Visa that offer 0% for a year or more rather than going the store card route. It looks better on your credit report. 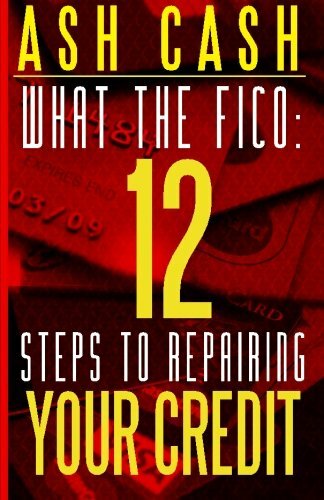 So How Can You Improve Your FICO Score? Credit: OpensourceIt seems like a no-brainer, but the more outstanding, revolving debt you have on the books, the lower your score is going to be, especially if all you are managing to do is pay the minimum each month. So first and foremost, you need to concentrate on paying down existing debt. If you have multiple accounts that are owed, be strategic. If you have enough in savings to pay off at least one account, do it. However, scores take into account the number of cards or accounts you have with active balances. For example, if you have $500 that you want to put toward paying down debt each month, it may have a more positive effect on your score to pay off two or three smaller balance cards so that their balance shows zero, rather than paying $500 down and paying off one large balance on one card. Of course, you need to keep the other accounts in good standing, so make the necessary payments on those accounts too, but the idea is to get rid of one debt and slowly lower the number of revolving monthly payments to various accounts. By paying down debt. your score will improve within months because the less you owe relative to the amount available works in your favor regarding scores. Remember, the ideal ratio for the rating agencies is under 30 percent of your available amount. If you are young and just getting started, the earlier you start building your credit, the better. That includes having a credit card and a bank account, even if you have to get your parents to co-sign on it. The most important thing you can do to keep a good score is to pay your bills on time and keep all accounts in good standing. Do not go over 30 percent for your credit utilization ratio and avoid opening store accounts for every retail outlet you shop. If you get into trouble, concentrate on paying off as many accounts to a zero balance and only use Visa, MasterCard or AMEX for major purchases, even if you want 18 months free financing. It is better to use the major credit cards for that rather than store sponsored ones. In my experience lenders for home loans are not as equal to lending as they claim to be. My credit is much better than it used to be, so maintaining your credit does not always help you.